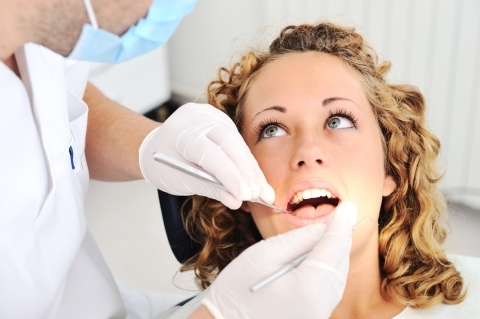 Sometimes, your wisdom teeth need to come out via a professional wisdom teeth extraction at your local dental clinic. Also known as “third molars,” your wisdom teeth are generally the last four of your 32 teeth to surface. Their nickname comes from the fact that they surface between the ages of 17 and 25, a time of allegedly increased wisdom. When wisdom teeth do need to be removed, it’s often because there simply isn’t enough room in your mouth for them to correctly surface and be functional. Left untreated, the tooth can become stuck, causing you pain and irritation. This can damage the nearby teeth or put pressure on them, creating an environment that’s ripe for gum infection, cysts, or tumors to grow in the area. In a situation like that, the smart move is to reach out to our dentists at Palmyra Family Dentistry for a wisdom teeth consultation at our dental clinic. First, we’ll carefully examine the wisdom tooth and the surrounding area, then we’ll take dental x-rays for additional details. Once we’ve evaluated the position and condition of the tooth, we’ll begin the wisdom teeth extraction. This is an extremely common and safe procedure, usually performed under local or general anesthesia, which you can learn more about on our sedation dentistry page. We’ll finish up the wisdom teeth removal in one session, then provide you with post-operative instructions and medication if necessary for discomfort or swelling. For more information or to schedule a wisdom teeth removal, contact us online or by phone today!